President of Turkey Recep Tayyip Erdogan called Chairman Pakistan Tehreek-e-Insaf Imran Khan on Tuesday. 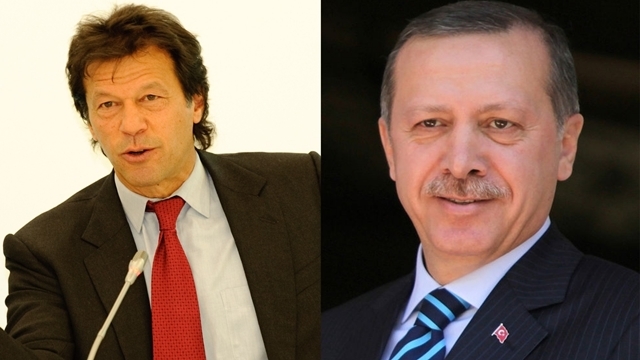 The Turkish President congratulated Imran Khan on his victory in the general elections in Pakistan on July 25. While talking to Imran Khan, Mr. Erdogan conveyed well wishes for the Pakistan Tehreek-e-Insaf’s upcoming democratic government in Pakistan. Both leaders of the brotherly Islamic countries are agreed to initiate a new relation era between the two states. Next Sholay’s Gabbar Singh spotted in Karachi’s market?